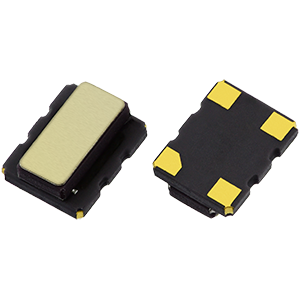 The GTXO-94 temperature compensated oscillator features an ultra-miniature 3225 form factor package and is available in a range of supply voltages from 1.8 to 3.3V. 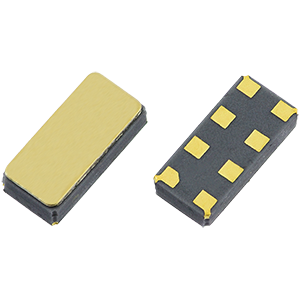 Providing frequency stability as tight as ±5ppm at 32.768kHz, the GTXO-94 is an excellent component for use as a real time clock reference as it combines excellent stability with extremely low power consumption from just 0.79uA. As such, it's an ideal timing solution for use within portable and battery-powered devices such as smart meters and data loggers. The GTXO-94G (1.8V), GTXO-94J (2.5V), GTXO-94N (3.0V) and GTXO-94L (3.3V) are all available to order now. You can find full product details here, engineering samples are available from stock for shipment today. RV3028C7, an all-in-one RTC module with exceptional stability and ultra-low power consumption of just 40nA. Boasting ultra-low power consumption of just 40nA, the RV3028C7 offers an excellent real time clock module solution, perfect for portable devices, battery powered applications, IoT devices, metering and wearables among others. Measuring just 3.2 x 1.5mm the RV3028C7 is suitable for size-sensitive applications and features excellent factory-calibrated stability of ±1ppm @ 25°C, wide operating supply voltage range of 1.1 - 5.5V, and has a range of additional RTC module features, including a 32-bit UNIX time counter, external event input detection with time stamping, and user RAM. Find more information about the RV3028C7 here, including the full application manual and component block diagram. The RV3028C7 is available to ship today for engineering sample orders, speak to our team or request a quotation today to find out more.